US Predator drone attacks on militants sadly claim innocent lives. But they’re still necessary to combat militants. It’s widely reported that Pakistan's Inter-Services Intelligence agency maintains ties with several militant Islamist networks in Pakistan's western borderlands that abut Afghanistan. Accordingly, the Pakistan Army has been loath to conduct serious, sustained operations against them despite repeated pleas and inducements from the Obama administration. 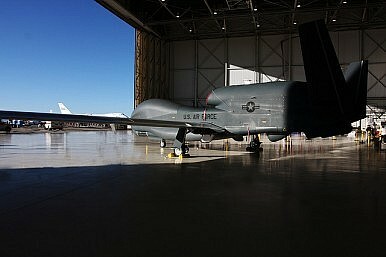 However, they have grudgingly acquiesced in the US use of unmanned drones to attack specific targets along the Afghanistan-Pakistan border. Despite every possible precaution, on occasion, these attacks have resulted in civilian casualties. The Pakistani military, along with docile and complicit elements of the Pakistani press, have made every effort to stir up popular anger and stoke incipient anti-Americanism in the wake of any attack that resulted in unintended but tragic non-combatant deaths. Their highlighting of these sad incidents stems less from an interest in the deaths of these hapless citizens and more from a desire to bring the drone attacks on militant hideouts to a close. Though a strong proponent of increased US-Pakistan security and intelligence cooperation, Adm. Mike Mullen, the Chairman of the Joint Chiefs of Staff, has made it clear that he finds the links between militant groups and the ISI to be intolerable, and that despite the professed unhappiness of the Pakistani military establishment the drone attacks will continue. Only continued pressure from those in the highest quarters of the US defence apparatus can convince their Pakistani counterparts of the urgency in Pakistani intelligence ending its shadowy ties to militant Islamists who wish to harm US forces in Afghanistan. The matter will take on greater alacrity as the Obama administration seeks to draw down its forces in Afghanistan. Pakistan’s security sector needs to shape up and drop its misguided fixation on ‘good’ terrorism. Admiral Mike Mullen was right to tackle the issue head on. How al-Qaeda Recruits OnlineIndia, Pakistan Ready for TalksLife After Bin LadenThe Folly of Isolating PakistanWho Was Hiding Bin Laden?